Cactaceae-Review IRT 1 (1): 4-19, 1998. Type: Green River area, Utah, fieldnumber, fh 69.0.2, June 1997, SRP. Utah: fh 69.0.2, Green River area, 1,200m. 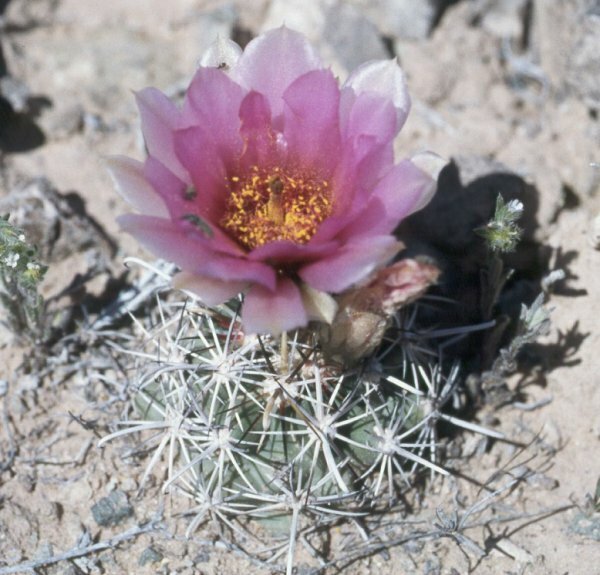 Sclerocactus parviflorus fa. macrospermus, fh 69.0.2, Green River area, 1,200m.